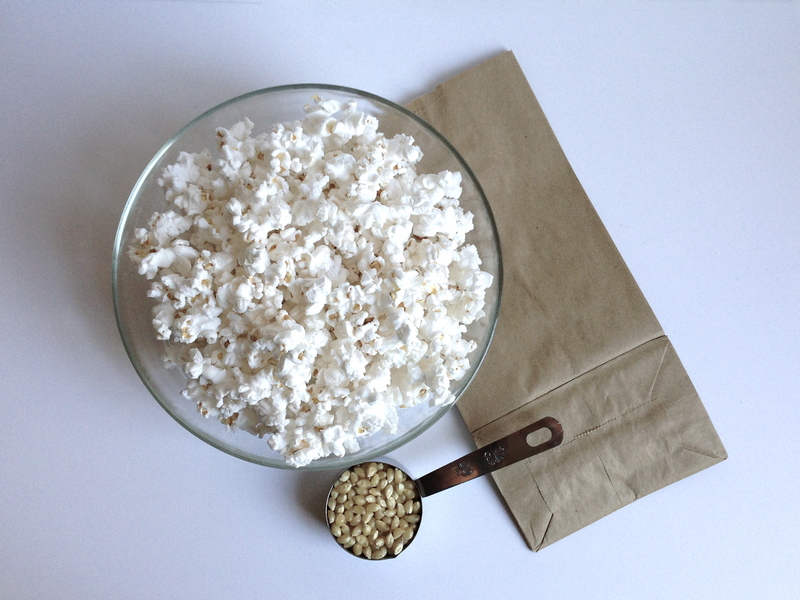 You can make your own healthy organic popcorn at home using a brown paper bag. White or yellow popcorn can be bought at Whole Foods in the bulk bin section at a very reasonable price. Put the popcorn into the paper bag. Add the canola oil. Fold the top of the bag and shake the bag thoroughly. Place a folded paper towel on the bottom of the microwave turntable to absorb the oil from the paper bag. Set the microwave for 1 minute and 10 seconds. You may have to adjust the time, since every microwave is different. Add salt or any other seasoning you may like and enjoy!